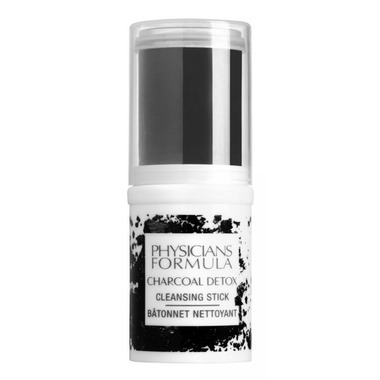 Physicians Formula Charcoal Detox Cleansing Stick is a revolutionary deep-pore cleansing treatment stick made of purifying charcoal. It draws out dirt, oil, and impurities delivering a deep clean while leaving skin silky-smooth, ultra-soft, and visibly clear. Usage: Apply cleansing stick directly onto face. 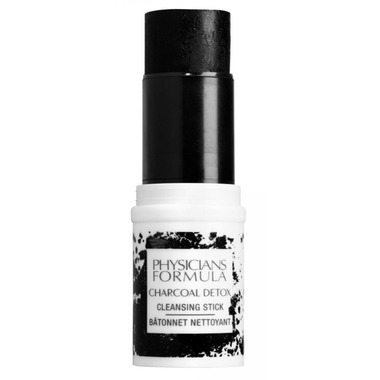 Wet face and massage in a circular motion to activate charcoal ingredients and reach deep into pores. Rinse with water. Ingredients: Glycerin, Sodium Cocoyl Isethionate, Caprylic/Capric Triglyceride, Water/Eau, Lauryl Laurate, Polyglyceryl-10 Oleate, Peg-120 Methyl Glucose Dioleate, Fragrance/Parfum, Disodium Cocoyl Glutamate, Charcoal Powder, Sodium Stearate, Maltodextrin, Sand, Cellulose, Butylene Glycol, Cocamidopropyl Betaine, Sodium Cocoyl Glutamate, Phenoxyethanol, Caprylyl Glycol, Tocopheryl Acetate, Ethylhexylglycerin, Hexylene Glycol, Sodium Chloride, Glycolic Acid, Arginine, Hydroxypropyl Methylcellulose, Subtilisin, Tocopherol, Cynara Scolymus (Artichoke) Leaf Extract, Iron Oxides (Ci 77499). I have tried other charcoal-based products in the past and been pleased with how the charcoal draws out and rids my skin of excessive oiliness, so I decided to give PF a try. I like the "balm" format, however, I find that the product doesn't go onto the skin easily; it is rather dry and can pull a bit when applying it. It find that wetting my fingers and massaging it into my skin works well. The product does what it promises and draws out impurities leaving my skin feeling clean and smooth.